The German-wide Multicenter Analysis of Oral Anticoagulation-associated Intracerebral Hemorrhage (RETRACE) investigators performed this study on behalf of IGNITE (Initiative of German Neurointensive Trial Engagement) and was published by The Journal of the American Medical Association (JAMA) on February 24, 2015. The study compared outcome for patients using two different mode of reversal treatments: (1) Fresh Frozen Plasma (FFP), and (2) Prothrombin Complex Concentrates (PCC). 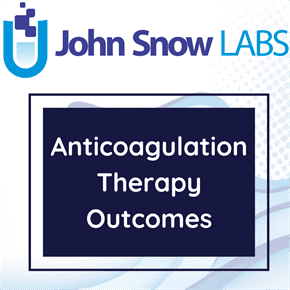 Data used for this clinical trial was collected from all consecutive adult patients with spontaneous ICH related to anticoagulation admitted to neurological departments between the years 2006 and 2010 with a 1-year follow-up period ending in January 2012. ICH patients with secondary etiologies, i.e., ICH related to trauma, tumor, arteriovenous malformation, aneurysmal subarachnoid hemorrhage, acute thrombolysis, or other coagulopathies, were excluded from the study. The study was titled as RETRACE (German-wide Multicenter Analysis of Oral Anticoagulation-associated Intracerebral Hemorrhage) and was conducted on behalf of IGNITE (Initiative of German Neurointensive Trial Engagement). Data were extracted on demographics, prior comorbidities, in-hospital parameters, and laboratory data through review of patients’ medical records and institutional prospective databases. Follow-up data on mortality, functional outcome, long-term treatment, and complications by mailed questionnaires and—if not returned or incomplete—by semi-quantitative telephone interviews were obtained. Reversal treatment consisted of prothrombin complex concentrates ([PCCs] 4-factor concentrate, containing coagulation factors II, VII, IX, and X as well as protein C and S), fresh-frozen plasma (FFP), antithrombin, and intravenous vitamin K—eventually in combinations. The first international normalized ration (INR) value obtained after initiation of reversal treatment is referred to as first INR monitoring after reversal. Specifically, all available laboratory results of coagulation parameters were evaluated for 72 hours after admission and the laboratory accessioning times were chosen as data points for monitoring of serial INR values. For accuracy of data on INR reversal, the initial laboratory parameters for transferred patients were retrieved from referring hospitals. Prothrombin complex concentrates reversed elevated INR levels to a greater extent (absolute median INR reversal using PCCs, 1.45 [IQR, 0.97-2.10] vs Fresh frozen plasma, 0.36 [IQR, 0.04-0.86]; P < .001); however, sample size (of patients with Fresh frozen plasma only) was too small to draw firm conclusions regarding efficacy.